The Leadership Trip Application for the opportunities listed below is due October 31st. If interviews are needed, they will be held on November 10th. 4-H Missions in Space is a fun-filled educational weekend at the U.S. Space & Rocket Center in Huntsville, AL: participants will complete a simulated Space Shuttle mission, experience training simulators, tour the U.S. Space & Rocket Center and learn about becoming an astronaut. Participation Age: Participation as a delegate is open to enrolled 4-H members in good standing in 6th – 8th grades with a maximum age of 15 at the time of the program. The Wisconsin 4-H & Youth Conference is a great way to travel, meet new people from around the state of Wisconsin, visit Madison’s wonderful attractions, and choose various project areas to learn more about. Some of the fun and educational workshops are kayaking and other water sports, art, photography, poetry writing, and agriculture. Participation Age: Participation as a delegate is open to enrolled 4-H members in good standing in 7th-10th grades. Cost: The trip costs about $300.00 with half the cost (not including travel to bus stop and incidentals) paid for by the Kewaunee County 4-H Leaders’ Association for members selected for the experience. 4-H members ages 15-19 have the opportunity to travel to D.C. with others from the state of Wisconsin and spend a week at the National 4-H Center in Chevy Chase, Maryland. In addition to attending workshops on democracy, participants will visit memorials commemorating our nation’s leaders and representing our victories and defeats on the battlefield, venture through the Smithsonian Museum, chat with our nation’s leaders, and see citizenship in action. Cost: (The trip costs about $1,400.00 with half the cost (not including travel to bus stop and incidentals) paid for by the Kewaunee County 4-H Leaders’ Association for members selected for the experience. Considered the flagship of the 4-H trips, it is an opportunity to visit another state with 4-H members across the nation. Service learning and leadership will be key in this six day trip. For over 89 years, youth from the United States and its territories have participated in this youth leadership development conference. The Congress provides youth with a quality educational and cross-cultural experience that exceeds what any state independently provides. It is designed to address the needs and issues of youth while helping to develop capable, competent, and caring citizens. About 75 youth representing University of Wisconsin Extension-4-H Youth Development attend this annual event. Delegates are selected at the county level, usually through an application and interview process. Cost: The trip costs about $1,300.00 with half the cost (not including travel to bus stop and incidentals) paid for by the Kewaunee County 4-H Leaders’ Association for members selected for the experience. American Spirit: Youth learn about the steps to independence and freedom on a journey through their American Heritage. Visit sites of historical importance in Philadelphia, Boston, NYC and Niagara Falls. Youth need to have a sincere interest in learning about our history and heritage. Youth will need a passport to travel to Canada. 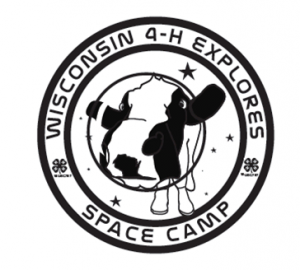 Cost: The approximate cost is $1400.00 with half the cost (not including travel to bus stop, passport fees, and incidentals) paid for by the Kewaunee County 4-H Leaders’ Association for members selected for the experience. Participant Age: Youth currently in grades 6th-8th are eligible for the trip. Only three spots are available to each county and when qualifications are equal, preference will be given to 8th grade members. Cost: $70.00 with half the cost (not including travel to bus stop, passport fees, and incidentals) paid for by the Kewaunee County 4-H Leaders’ Association for members selected for the experience. National 4-H Conference annually brings 4-H youth and adults from around the nation to work towards strengthening and expanding the 4-H Youth Development program at the local, state, and national levels. Held at the National 4-H Center in Chevy Chase, Maryland, it’s usually scheduled around the beginning of April. Last year, there were approximately 350 delegates, including six from Wisconsin. Between 6-8 Wisconsin youth are selected to attend this working conference. Each participant selects an issue (education, promotion, environment, violence, etc.) and works with other delegates to develop plans directing future 4 H programming. Delegates spend the majority of time contributing to stimulating, task oriented groups. One day is spent on Capitol Hill meeting with legislators and touring. Carry county approval through time of award trip. The total cost of the National 4 H Conference trip is approximately $1,300. The Wisconsin 4-H Foundation sponsors a portion of the cost. Many county 4-H Youth Development programs provide partial local sponsorship. The remaining amount is the responsibility of the delegate and his/her family. Completed signed applications are due to the State 4-H Office no later than December 1, 2018.